The application to apply for U.S. citizenship through naturalization, officially known as Form N-400, Application for Naturalization, is one of the longest and most involved forms that most immigrants will ever use. However, with a little preparation, you can complete the application on your own. There are several supporting documents that you’ll need to submit with the N-400 application or have available for reference. 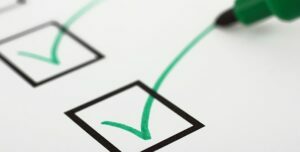 We’ve put together an N-400 document checklist and an overview that addresses the frequently asked questions about these documents. Once you are prepared, filling out the U.S. citizenship application can be a quick process. After you’ve gone through the N-400 document checklist, be sure to review some of the most common ways Form N-400 get denied. USCIS requires N-400 applicants to have a valid, unexpired green card. You’ll generally need to submit a photocopy of your card with your N-400 application. Although many applicants with a lost, stolen or mutilated green card have successfully obtained citizenship using CitizenPath, we recommend that you have a valid, unexpired green card in your possession. Permanent residents are required by law to carry proof of status (INA 264(e)). Verifying your right to work in the U.S. If you do need to replace or renew your green card, it won’t delay your naturalization efforts much. 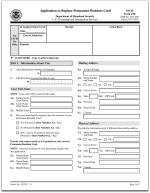 File Form I-90, Application to Replace Permanent Resident Card, to renew or replace your card. Approximately 1-3 weeks after filing, USCIS will mail you a receipt letter that confirms you have successfully filed. Use a photocopy of this receipt letter in lieu of the green card photocopy with your N-400 application. Most people will pay government fees to file Form N-400, Application for Naturalization. The current filing fee is $640 plus a $85 biometrics services fee. One payment in the amount of $725 should be addressed to the “U.S. Department of Homeland Security” if using a personal check, money order or cashier’s check. You may even pay by credit card. Include Form G-1450 to pay by credit card. Applicants 75 years of age or older are exempted from the biometrics services fee. And those applying based on qualifying military service pay no fees. Low-income applicants or those experiencing certain financial hardships may qualify for a partial or full fee waiver. For more information, the USCIS fee waiver page. Lawyers may charge a range of fees from $500-$2500 to help you prepare the application for naturalization. This is often the best choice for applicants with a criminal history or blemished immigration record. For do-it-yourself preparers with straight-forward cases, CitizenPath is an excellent way to ensure you’re doing everything correctly. If we do detect a problem, we give you an alert before you even pay. Our software will help you prepare the N-400 quickly and accurately. 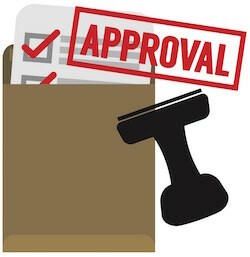 We even guarantee that your application will be approved by USCIS. See our reviews and get started on Form N-400. Additionally, you’ll need proof that all previous marriages ended. Again, examples of acceptable documents include divorce decrees, annulments or death certificates. Perhaps you got married since your last green card was issued, you may use this new name on your naturalization certificate as long as you can provide documentation. Submit the marriage certificate as evidence. If you are a male who lived in the United States at any time between your 18th and 26th birthdays, the Selective Service registration likely applies to you. By law, a man must register with Selective Service within 30 days of his 18th birthday. Selective Service can accept a late registration but not after a man has reached his 26th birthday. This requirement applies to U.S. citizens, permanent residents, refugees, asylees, and even undocumented aliens. It does not apply to women or foreign nationals in the United States with nonimmigrant visas. The nonimmigrant classifications include: foreign government officials, visitors for business and for pleasure, aliens in transit through the United States, treaty traders and investors, students, international representatives, temporary workers and trainees, representatives of foreign information media, exchange visitors, fiance(e)s of U.S. citizens, intracompany transferees, NATO officials, religious workers, and some others. Obtaining proof of your Selective Service registration is easy. Use the Selective Service Online Verification. You’ll need to provide a last name, Social Security number, and date of birth. You will instantly be provided with a verification letter than can be printed or saved to your computer. Read more if you failed to register for Selective Service as required. Of course, you’ll need a copy of the current marriage certificate and proof that any previous marriages (for either spouse) were legally terminated. In addition to the marriage certificate, you’ll need to submit corroborating evidence that the marriage is genuine. Generally, this can be most effectively demonstrated with documents that show you’ve combined finances, lived together continuously, and had children together (if applicable). Copies of joint tax returns for each of the last three years (or two if all three are not yet available). You may submit a tax transcript instead of the tax return. To obtain a free IRS tax transcript, visit www.irs.gov. Select “Tools” and then select “Order a Return or Account Transcript.” For assistance, you can also call the IRS at 1-800-908-9946. Copies of statements from joint accounts with both spouses’ names. Joint accounts may include checking, savings, credit card, insurance policies, leases or mortgages. Provide statements that span the length of the three years (if possible). For example, include a copy for every three months over the course of the three years. Copies of birth certificates for any children born into the marriage (if possible). Any other evidence of family ties that demonstrate your bona fide marriage. You may provide photos of both spouses (e.g. vacations, visiting extended family, etc.). Provide the date and location and names of other people in the photo. Provide multiple examples of your bona fide marriage. It’s important to show that you’ve had shared financial responsibilities, joint residences and family ties (e.g. photos). For all evidence, provide examples that span the entire three-year period if possible. This N-400 document checklist covers the items required in typical applications for naturalization. Please refer to your personalized filing instructions from CitizenPath or the USCIS filing instructions for directions on your specific situation. Additional documentation may be required if you have ever failed to file an income tax return as required, have an arrest record, or have traveled extensively (such as trips over 6 months) abroad. Often these situations demand the guidance of experienced legal counsel. You may submit photocopies of all of documents mentioned above when filing Form N-400 (unless otherwise indicated). However, we recommend that you take an original to your naturalization interview. Rarely are original documents requested. But if the USCIS officer needs confirmation, you’ll be prepared to address the situation. Otherwise, your case may be delayed. As a part of the naturalization process, a USCIS officer will evaluate your entire immigration history to make sure your permanent residence was granted correctly. This can be a little intimidating because most people are unsure of that information the government has. Well, you can find out. You have the right to request a copy of your own immigration file through a Freedom of Information Act (FOIA) request. In fact, immigration lawyers will routinely file FOIA requests to get this information before submitting additional applications. There is no government filing fee, but this can be a lengthy process. It may take six months to get an entire file. Need help? CitizenPath can help you prepare Form G-639, Freedom of Information Act Request, to obtain your immigration file. If you are applying on the basis of marriage to a U.S. citizen, these histories are reduced to three years. CitizenPath provides simple, affordable, step-by-step guidance through USCIS immigration applications. Individuals, attorneys and non-profits use the service on desktop or mobile device to prepare immigration forms accurately, avoiding costly delays. CitizenPath allows users to try the service for free and provides a 100% money-back guarantee that USCIS will accept the application or petition. We provide support for Green Card Renewal (Form I-90), the Citizenship Application (Form N-400), and several other immigration packages.